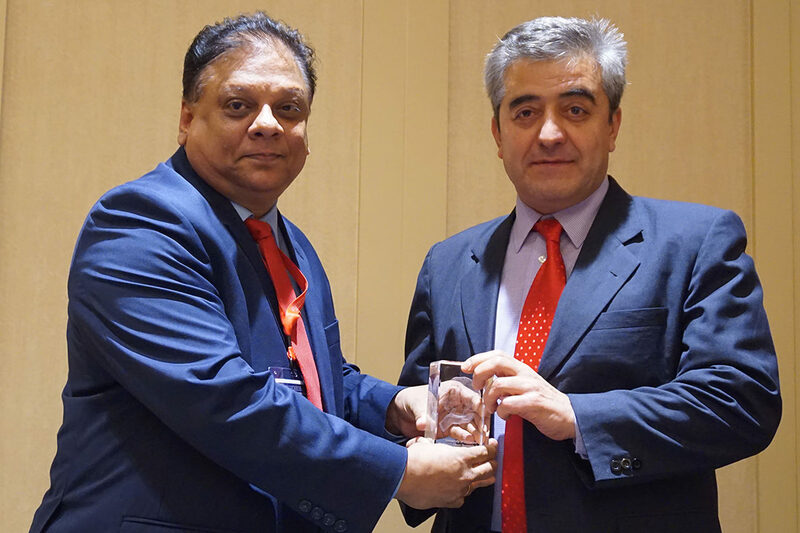 Dogan Gursoy, Taco Bell Distinguished Professor in the School of Hospitality Business Management at Washington State University, has received the Michael D. Olsen Research Achievement Award. The annual award honors Michael Olsen, the late professor at Virginia Tech, known for numerous contributions to the field of hospitality education and for his mentoring of graduate students. The award recognizes someone who has made a significant contribution through research to the body of knowledge in the hospitality and tourism industries. It considers the overall contribution to the academy, including serving on editorial review boards, international symposia and conferences, graduate education, and mentoring of graduate students. This award is considered the highest honor for hospitality and tourism scholars. Previous recipients include renowned scholars in the field from around the world. “I am deeply honored and humbled to receive the 2019 Michael D. Olsen Research Achievement Award and to join past recipients whom I have long admired and respected,” Gursoy said. The award is supported by the University of Delaware’s Hospitality Business Management Department and was presented in January at the 24th Annual Graduate Education and Graduate Student Research Conference in Houston. He is widely published and presents his research at numerous hospitality and tourism conferences. His scholarly work is frequently recognized with prestigious awards, include the Changjiang (Yangtze River) Scholar award, the highest academic award issued to a scholar by the Ministry of Education of the People’s Republic of China. Gursoy is editor‑in‑chief of the Journal of Hospitality Marketing and Management, and he has been recognized during the past decade as one of the top 10 authors in the world in terms of publications in the top six hospitality/tourism journals.